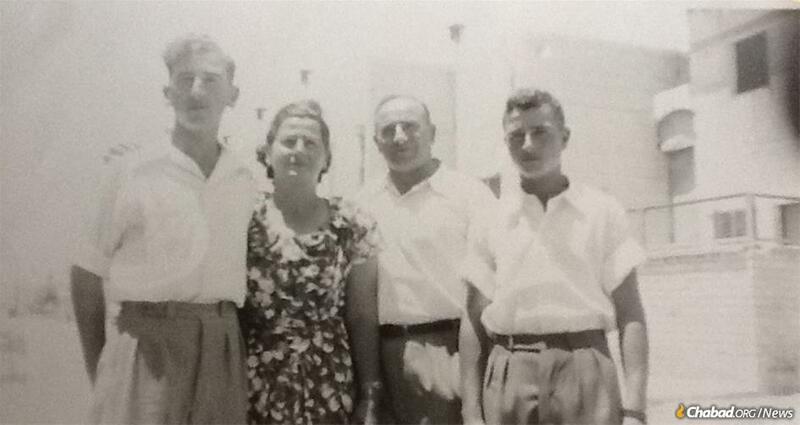 Mordechai (Murray) Miller, left, with his parents and brother in Israel in the early 1950s. 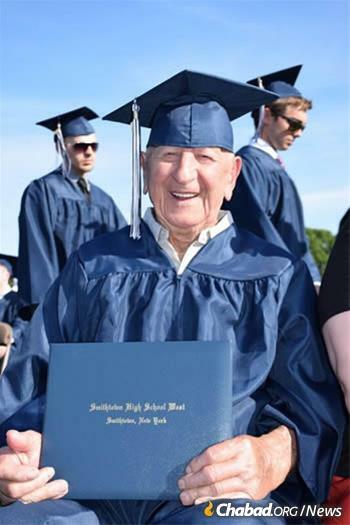 After living with his family in a Displaced Persons camp after World War II, he fought in Israel's War of Independence before marrying and moving to America. Julian Miller grew up in a kosher home in the Howard Beach neighborhood of Queens, N.Y., and over the decades has attended many bar mitzvah celebrations of family and friends. But just last month, Miller had the opportunity to attend what he calls the most moving celebration of his life: the bar mitzvah of his own father, Holocaust survivor Mordechai (Murray) Miller, who passed away on Feb. 3 at 88. 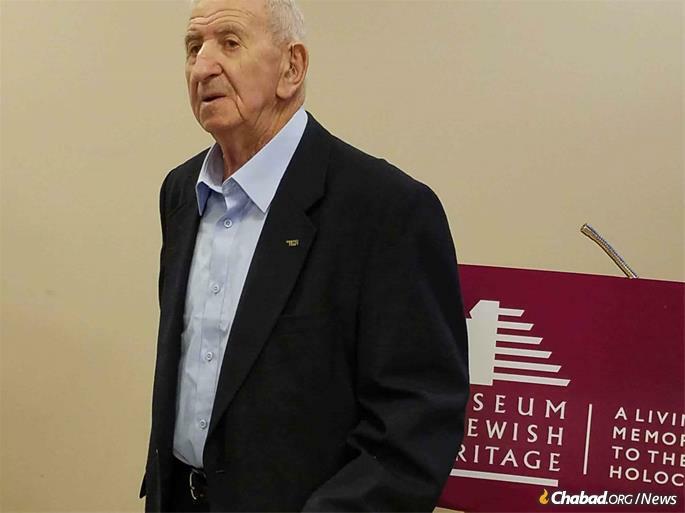 As a 13-year-old running and hiding in Poland during World War II 75 years ago, Mordechai Miller, wasn’t able to have a bar mitzvah celebration, and in recent years had traveled to numerous schools and colleges to talk about the Holocaust. He became a sought-after speaker, motivated by the desire to make sure everyone possible knew the truth about what happened during the war, according to his son, who noted that clips of his father’s talks are preserved at Suffolk Community College on Long Island, N.Y.
“A lot of miracles happened that brought him to his bar mitzvah,” said Julian Miller. 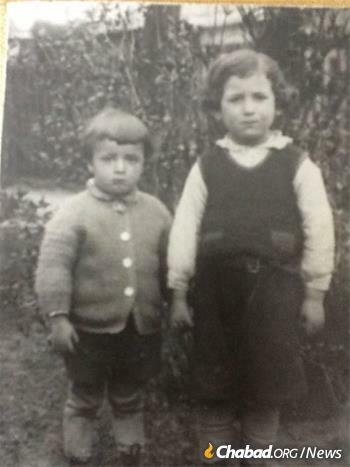 Miller, left, with his brother in pre-war Poland. For the bar mitzvah, Julian Miller said relatives came from near and far. His sister came in from Florida, cousins came, friends. “Everybody had a tear in their eye. It was a great day,” he told Chabad.org. The service was followed by a kiddush and festive meal. Rabbi Mendel Teldon, director of Chabad of Mid Suffolk, said the bar mitzvah plan was hatched when his father, Rabbi Tuvia Teldon, was putting on tefillin with Miller. In honor of the 75th anniversary of his turning 13, which brings a young man to an age of majority in the Jewish community regardless of how it’s marked, they decided to celebrate. About 20 guests were in attendance, including local government officials and representation from the school district. “He was hiding in the forest during the war; he didn’t know the dates, they had no calendar, so he couldn’t formally mark his bar mitzvah because they didn’t know when it was,” said Rabbi Mendel Teldon. Despite never getting past first grade, Miller spoke seven languages and was recently honored with a diploma from a local high school. Miller’s family was forced from their home in Poland into a ghetto in 1939, and then into hiding when the ghetto was eliminated. They hid in multiple places, including in the forest, before being discovered by a German soldier who gave them work, not knowing they were Jewish. A neighbor turned them in, and they narrowly escaped execution before being liberated by the Russians. After the war, Miller wound up in a displaced persons camp. His family later went to Israel, where he fought in the War of Independence. He then came to America, where he married and started a family. 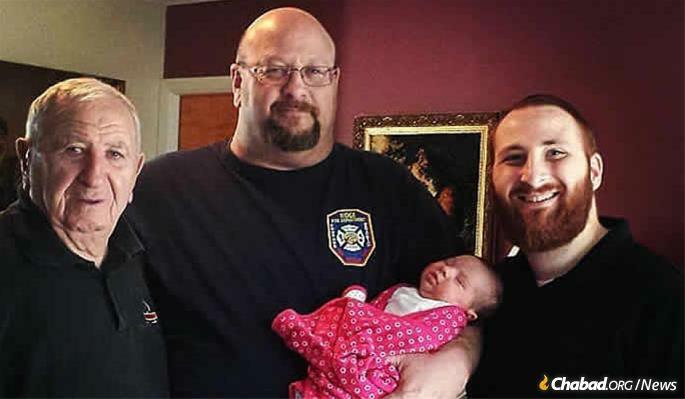 Miller, left with his sons Joshua, center, Baruch, and a baby granddaughter. Murray’s wife, Nerma, affirmed that the bar mitzvah was a memorable day, primarily because it brought her husband so much joy. 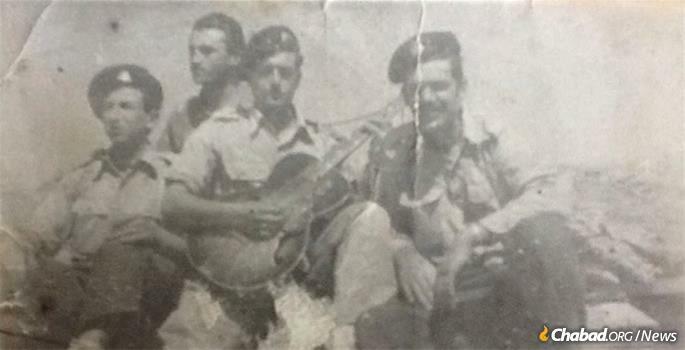 Miller, left, with fellow soldiers in the Israel Defense Forces in the early 1950s. In recent years, Miller was a popular speaker, describing his experiences during the Holocaust.